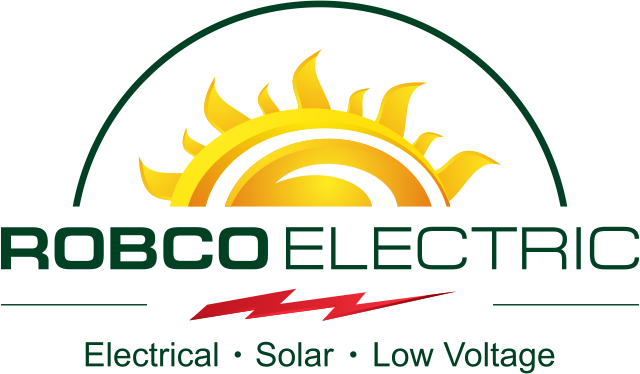 Commercial Electrical Services – Robco Electric Inc. When you’re in the market for a Commercial Electrician, Robco is your best best. We’ve been serving Las Vegas since 1997 and now employ over 80 Nevadans. Looking for an experienced commercial contractor who can deliver top-notch work on time and without hassle? Then you’ve found Robco Electric Inc. Whether you are starting from dirt or doing tenant improvements, Robco’s design and build skills are well-known throughout Las Vegas. As one of the few locally owned contractors with an Unlimited Bid capability and the trust of large and small businesses and government entities statewide, we are capable of handling any size project from ground up construction to a complete electrical systems overhaul on an aging building to tenant improvements and underground utility connections. At Robco Electric Inc, we know that every job we do is a huge investment for you, and that you want it done quickly and right. Our experienced staff is ready to work with you every step of the way, from the initial planning stages to the finish touches. Providing you with superior customer service is a priority at Robco Electric Inc. We want you to know that we take your project seriously and well work hard to build a lasting and trusting relationship with you. We welcome your ideas and want a share in the vision you have for your building. Robco Electric has completed numerous projects for the Clark County School District to include additions of door openers, complete lighting retrofit for 26 schools and construction of new elementary and middle schools. Project consists of replacing the existing LAN and Clock / Intercom systems with new systems and new video media centers, including enlarging or modifying existing Equipment Rooms (ER) and Telecommunications Rooms (TR) and build out new TRs; provide electrical and HVAC as required to operate and maintain these rooms and systems; maintain the current operation on these existing systems as required to maintain school operations throughout the school year. Project consists of new roof top units and variable air volume boxes, mechanical temperature controls, selective ductwork and piping, replacement of interior door and door hardware, new classroom casework, plumbing fixtures, drinking fountains, restroom sinks and modifications to the food service kitchen, new intrusion alarm system, new audio / video controls and equipment, and all necessary appurtenances. Project consists of removal and installation of roof top units, site work, HVAC controls, plumbing upgrades, low voltage electrical work, case work, architectural and structural work. Need some underground electrical or field lightning? We’re your team. Our experience with outdoor lighting for recreation spaces and working with Parks and Recs departments means your project will go smoothly. Robco Electric can remove and replace or build brand new ballfield or parking lot lighting. Whether your light poles are 10′ or 80′ our professional electrician can install them and get your critical areas lit up. Supply and contruction of all lighting and electrical components for new park. Project consists of a Base Bid Item and two Additive Alternate items. The Base Bid consists of a ten foot wide concrete trail and low-level security lighting along the length of the trail. Additive Alternate Item One consists of 2200 LF of elevated pedestrian walkway with integrated lights and two seating pop-outs between Vegas Dr. and Lake Mead Blvd. Additive Alternate Item Two consists of a traffic signal at Lake Mead Blvd. and the Buffalo Channel and modifications to the median island and striping on Lake Mead Blvd. Project consists of replacing existing electrical service switch panel and lighting poles with lights. The project consists of: Parks and Community Services Dept. to go forward with plans that would combine about five acres of a traditional park with a couple of acres suitable for horses and their trailers. A larger system will be designed to serve the riding needs of horse owners in the still largely rural area. A much largers, 80-acre parcel is slated to become a community park. Signing that lease or buying that building is just a step on your company’s journey. Now that you have the space, you need a trusted partner to make it yours. Robco Electric has assisted national brands like Jamba Juice, Starbucks and Tiffany & Co. as well as local names like PT’s Pubs with tenant improvements from full build outs to extra outlets and new lighting. Whatever your electrical needs, Robco’s team can help. We are licensed to perform work in Clark County, City of Las Vegas, City of Henderson, City of North Las Vegas, and the City of Boulder City. We’ve worked on numerous custom home projects throughout Las Vegas. From multi-million dollar eco-showcase homes like Water’s Edge by Sunwest Custom Homes to stunning designs in some of the most exclusive addresses in the city, Robco is your electrical and solar contractor of choice for a custom home project. Custom home built to include all lighting inside and outside of the house using speciality designed fixtures and ammenities. From PT’s Pubs to Starbuck’s to smaller restaurants like Nora’s, Robco has completed many restaurants and taverns. From renovations or tenant improvements to ground up projects, to diagnosis and repair of electrical systems, we are all about creating an atmosphere of success for your diners and your budget.